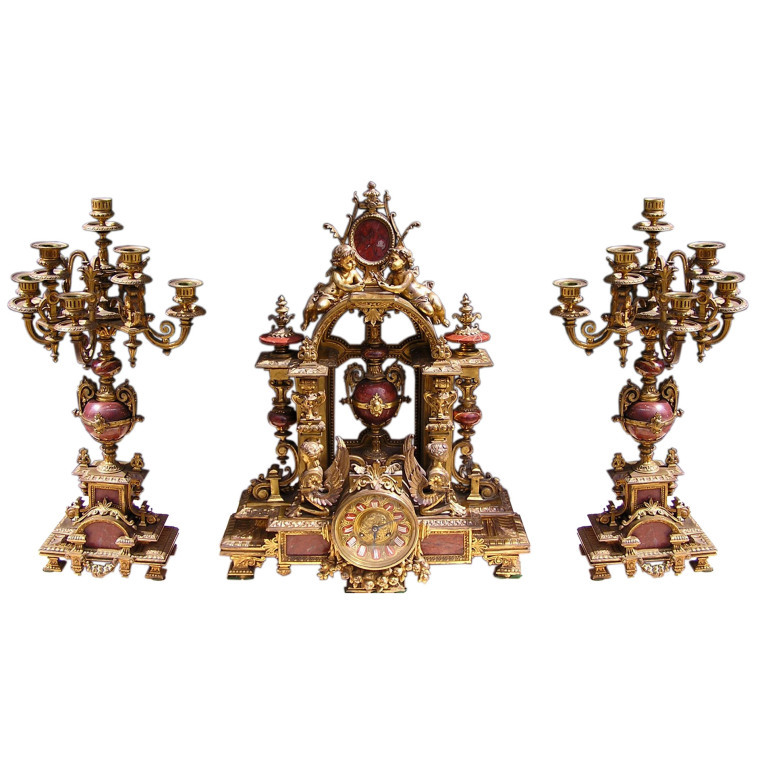 French gilt bronze and marble three piece mantel clock flanked by matching candelabras. Center clock has cherub, griffon, and floral fruit motif. Clock is in working condition.